Set in early 90's Madrid, teen Veronica and her friends hold a seance at their school on the day of a solar eclipse, supposedly a day ripe for the occult, and things go a little awry. 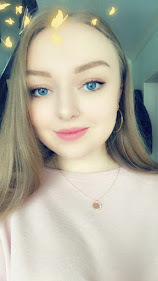 She returns home to babysit her many siblings and soon starts to feel as though there is a presence in their home. 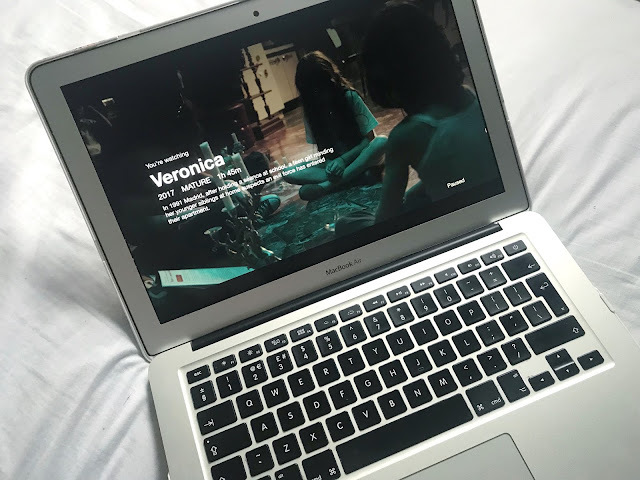 The Internet has been putting a lot of emphasis on the idea that Veronica is all the more scary since it is based on true events. The movie does take inspiration from the 1991 Vallecas case, which was the only official police report that ever had detectives actually admitting to experiencing paranormal activity. While the case is real, even the director of the movie admits there are many inconsistencies with the story. So, the plot sounds like your regular demonic possession-type film, right? This isn't so far from the truth. What is it that is making these think-piece writers slam their laptops closed in pure, spine-chilling fear? Don't get me wrong, there are some creepy scenes in this movie and I thought that for the most part, it was pretty well acted. 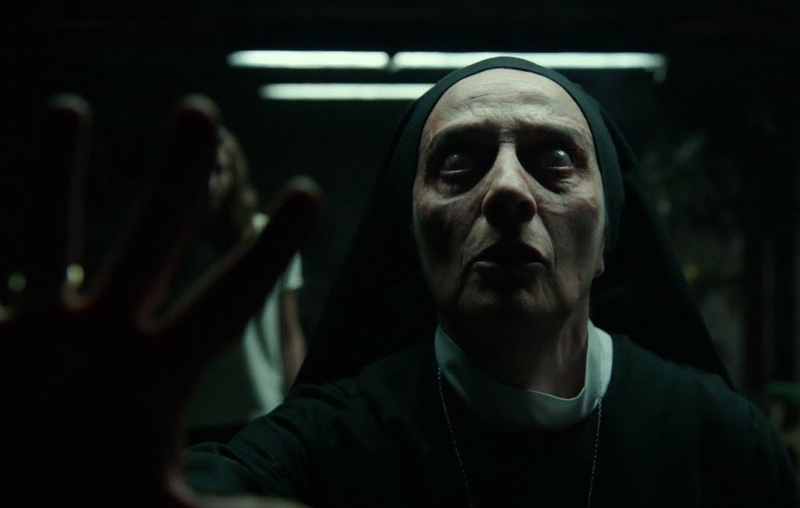 I find that horror movies love to use the religious girls' school cliche, because they get to throw a nun in there (which makes me laugh because it's exactly the kind of high school I went to myself). Lo and behold, a nun shows up eventually... But this time she's blind. And she smokes. She's a bit of a creepy trope since she just kind of shows up out of nowhere; we also learn later that she may be blind, but she can still see some things... Spooky. The film is definitely tense at parts, well acted and doesn't over-use the jump scares, which is a pet peeve of mine when it comes to horror films. On the enjoyability scale, I'd give it a solid 8 out of 10. On the crap-your-pants fear scale? I'd give it a 6 at a push.